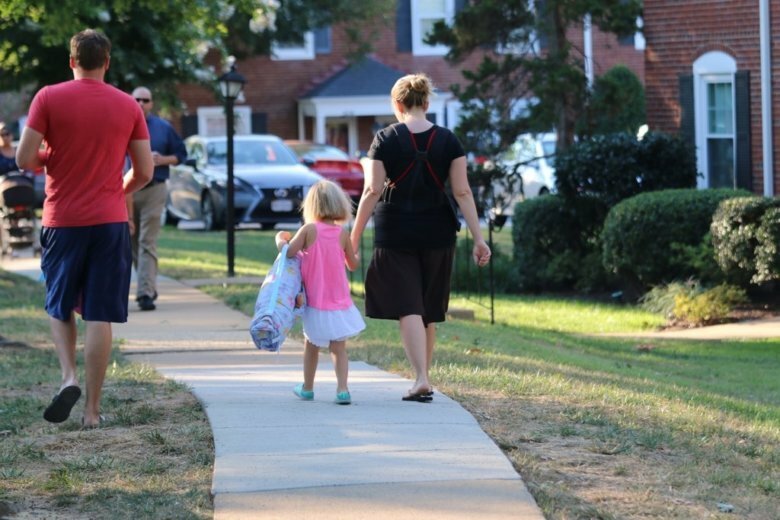 The Arlington County Board has approved zoning rules they hope will help parents afford rising childcare costs by increasing local childcare options. The Board voted unanimously during its Saturday meeting to change several zoning ordinances as part of a mission to overhaul the regulations on childcare centers, with the goal of making it possible for more providers to open up shop. “These carefully crafted changes will be welcomed by our hard-working Arlington families who need access to high-quality child care,” said County Board Chair Christian Dorsey. The amendments target regulations that childcare business owners and county staff have said makes it hard to run daycares or open new ones. One change allows small, in-home daycare providers to care for up to nine kids by right, meaning providers no longer need to go through the county’s extensive use permitting process now reserved for homes caring for 10 or more kids. Summer camps are now allowed to operate with by right process, rather than having to seek a use permit like a daycare provider, thanks to the Board’s Saturday vote. The vote also reduces parking requirements for childcare centers after business owners complained they were expensive and county staff found parking spaces often went unused. Zoning ordinances previously required one parking space per employee, but the amendment will change that requirement to one space per eight children. The Board also approved a reduction in the parking requirement if the the daycare is near Metro or bus stations. The Planning Commission’s Zoning Committee approved the amendments in January after they had been discussed for months. Now that they have the Board’s approval, the changes are set to go into effect on July 1. A 2017 draft action plan noted there are “significant gaps between supply and demand” for childcare in Arlington, stating in its findings Arlington had 6,984 licensed spaces for 13,435 kids under the age of five. Officials think the gap might be one of the reasons why the average yearly daycare bill for Arlington families is $42,705 — $2,000 higher than the average bill in D.C., and one of the highest in the country. The proposed changes arise from recommendations included in the Child Care Initiative Action Plan the Board accepted in July 2018, after a year-long community engagement process. The plan’s short-term recommendations include increasing flexibility in Zoning Ordinance provisions that regulate center-based and family-based child care programs in Arlington, and examining local child care regulations to incorporate Virginia state standards. The proposed changes are meant to eliminate perceived and actual barriers to child care in the County. The proposed changes are the result of a comprehensive outreach and engagement process that included parents, child care program staff, and other local stakeholders.